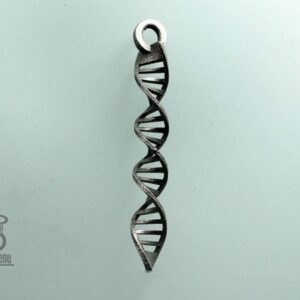 DNA spiral unisex pendant, photographed in stainless steel. 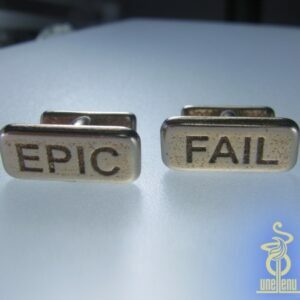 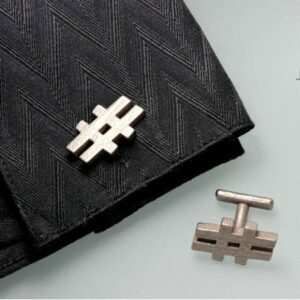 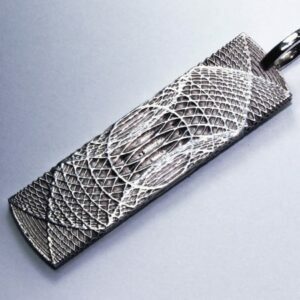 Also available in bronze-infused stainless steel with visible print lines and rough feel. 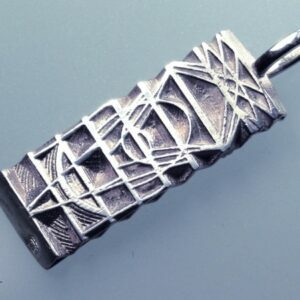 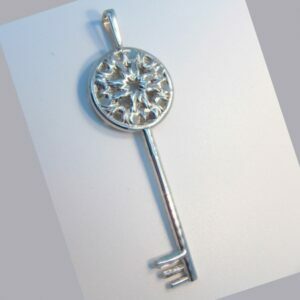 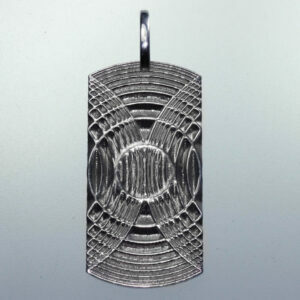 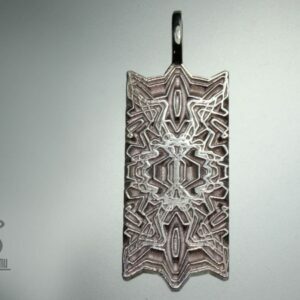 A textured, vintage style key pendant pictured in sterling silver. 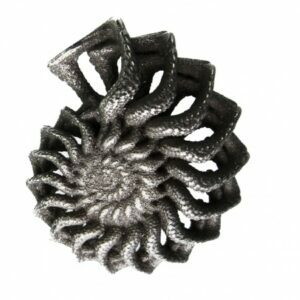 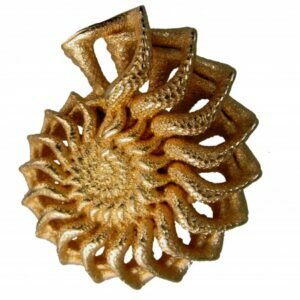 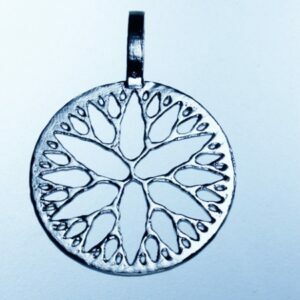 This design has a circular element at the top with decorative detail radiating from the centre.